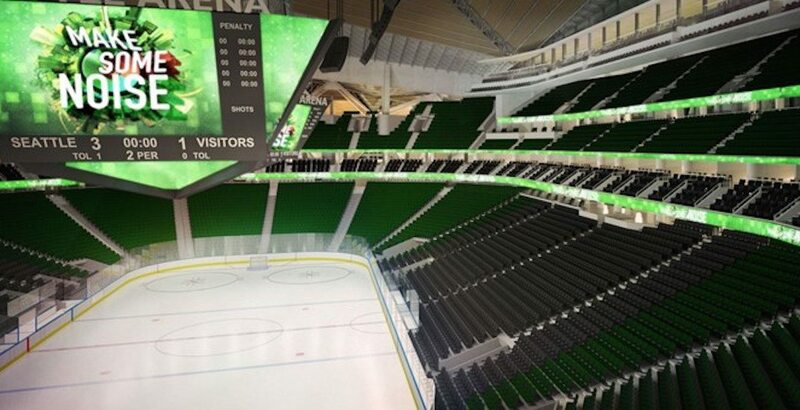 Seattle could finally be in line for an NHL and NBA team. It’s all thanks to a brand spanking new deal signed on Tuesday, which plans for a $660-million arena to be built in Seattle Center. The Memorandum of Understanding (MOU) was made official between the Oak View Group and Seattle mayor Ed Murray, which planned to finish renovations on Key Arena in 2020 with construction starting next year. Things looked like they might get a little hairy when Murray resigned as Seattle mayor amidst sexual abuse allegations. BREAKING: Seattle Mayor Ed Murray to RESIGN. The timing of this is odd, but seemingly coincidental, and the arena plans are scheduled to continue despite Murray’s resignation. So what does this mean for Seattle’s chances at bringing back the Sonics and/or getting an NHL team? Tim Leiweke, CEO of Oak View Group, released a statement that made it clear of the intentions behind the deal. This is great news for fans of both the NHL and NBA up the road in Vancouver. A hockey team in Seattle would be the closest geographical rival for the Canucks, and Seattle would also be the closest destination to watch NBA basketball. There has been a bit of controversy over the Key Arena proposal, as some believe it would be better to build a new arena in SoDo, closer to the downtown Seattle core. Key Arena would be in Seattle Center, about 10-15 minutes north of that, near the Space Needle. Chris Hansen had put forth a plan to build the SoDo Sports Arena, one that was backed with the support of over 12,000 signatures, including Seattle Seahawks QB Russell Wilson. Hansen’s plan involved building a new arena in SoDo and then developing Key Arena into a concert venue, addressing another need for the city. With the NHL currently unbalanced at 31 teams, they’ll certainly be looking to expand, and Seattle is now a top target.